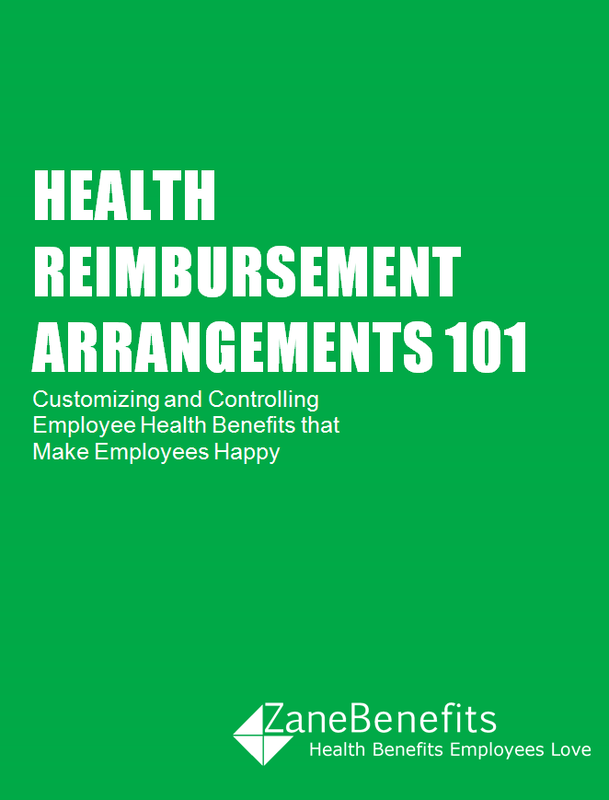 Zane Benefits, the #1 online small business health benefits solution, announced today the re-release of its most popular health benefits whitepaper "Health Reimbursement Arrangements (HRAs) 101." The updated whitepaper helps small business owners, HR managers, insurance professionals, and CPAs understand the foundation of defined contribution health plans -- HRAs. Health Reimbursement Arrangements (HRAs) are the basis for defined contribution health benefits. With health care reform taking full effect in 2014, HRAs and defined contribution health benefits are expected to become a mainstream employee benefit. Zane Benefits' flagship HRA 101 whitepaper has been updated with the most current small business health insurance data and new information on health reform and HRAs. Small business owners, non-profits, CEOs, CFOs, HR managers, insurance agents, and CPAs should download this whitepaper to learn why HRAs are the future of health benefits. What is an HRA, and what are its advantages?